There's plenty of fish in the sea for human fisherman and bottlenose dolphins to feast on and now, according to a study by researchers at Stony Brook University published in Marine Mammal Science , both species are using a New York artificial reef at the same time to find fish to eat – a new finding. "Dolphins make lots of very different sounds – whistles to communicate, clicks to find fish and even one that sounds like a gun going off. Boat noises are very distinct, you can hear the engines go in and of gear, so you can tell when boats are drifting at idle or are moving back and forth over the reef. It's interesting to think about how we used the sounds to identify what fish were present and wonder if the dolphins are doing the same thing," said Wirth. The underwater microphone also captured sounds from animals that were not seen visually during numerous visits to the reef. "With the planned expansion of the NY artificial reef program by New York State, there are numerous opportunities to extend this work to multiple locations and new sites to further study how humans and dolphins (as well as other species) are sharing these habitats," said Joe Warren, Stony Brook University SoMAS Associate Professor, Wirth's advisor and co-author of the study. According to researchers, boat noises began to rise in the early morning before tapering off in the mid-afternoon and were louder on weekends than on weekdays. While dolphin noises were heard regularly at the reef both day and night. During the loudest times of the study (weekend mornings) there were periods where no dolphin noises were heard. 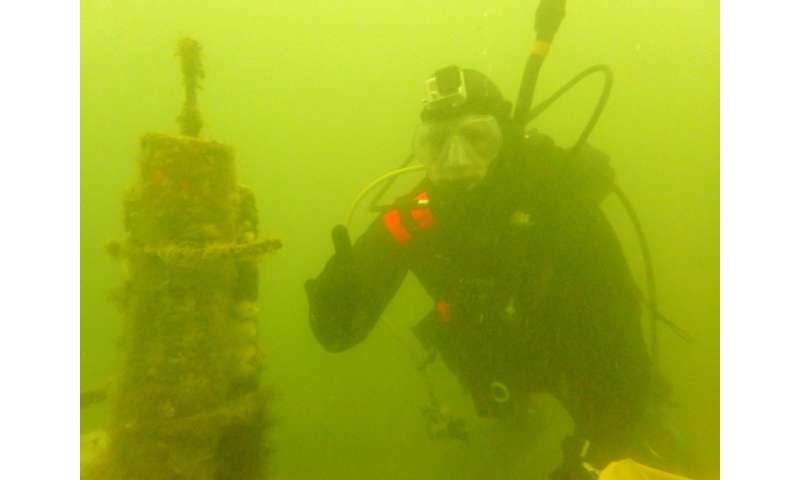 "During 100s of miles of boat surveys and dozens of SCUBA dives at the artificial reef sites, none of us ever saw a dolphin, so I was completely surprised when Colin told me that he was hearing them regularly in the recordings. 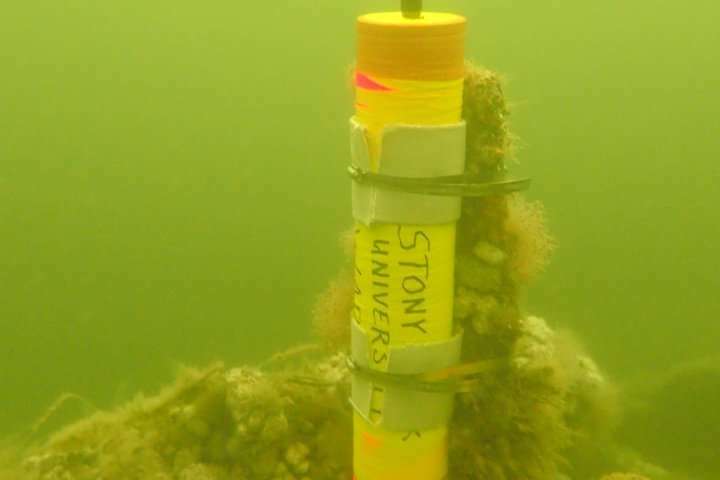 Using an underwater microphone provided us a unique view of what animals (including humans) are doing at these sites," said Prof. Warren.